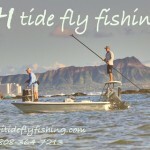 Hawaii fly fishing offers perfect waters with as much variety as you’ll find anywhere. Enough to satisfy the most ardent Bone fishing enthusiasts and just about any other serious angler! Keehi Lagoon on Oahu, Aina Haina along Oahu’s Eastern Shore, and Kaneohe Bay are all areas that offer expansive reefs and flats conducive to fly fishing. The islands of Hawaii are abounding with a variety of fish that dwell in the flats. Aside from Bonefish, you can also find angling opportunities for Bluefin Trevally or Omilu, Giant Tevally or Ulua, Ladyfish or Awa Awa, Golden Trevally or Budaguchi and Barracuda. The Kona Coast is a rich and diverse coastline with bays teeming with inshore species like Travally or Triggerfish. These hard-fighting game fish hunt in the rich shallows of the Kona coast, and you can catch them from the shoreline or on a kayak. Sandy reefs produce an abundance of Weke and Moana (goat fish). Fly-fishing in flats for Bonefish is especially productive when there is an incoming tide during the early morning before the swimmers spook the fish away. 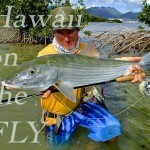 You can find large Bonefish up to twelve pounds in Hawaii flat waters. Oahu is home to bountiful populations of Bonefish. The island has gentle sloping flats that start at the shoreline. The flats often extend for a mile out from the shore, allowing you to wade through the waters and cast fishing lines. However, fishing the Hawaiian flats for Bonefish is different than typical tropical flats fishing. While Oahu has many flats, they all aren’t sandy with a bit of sea grasses. Oahu flats are beset with coral beds, some live, most hard as rock. Between the coral outcroppings lay the deeper sandy channels in which the Bonefish travel. Traversing the coral platforms and deeper channels requires balance and agility. The coral can be razor sharp and can snip a standard mono leader with just one brush-by. Open Ocean Fly Fishing Like any sport fishing destination, Hawaii offers the opportunity for offshore fly fishing targeting Mahi Mahi, Tuna, Sailfish and Wahoo. In addition, small boat operators offer fishing just outside of the surf zones where medium-sized game like large Trevally are plentiful. 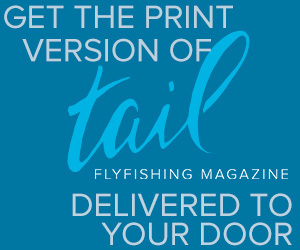 Freshwater or Saltwater Fly Fishing… Your Choice! The island of Kauai, with the heaviest rainfall and the most rivers, probably offers more freshwater fishing than the other islands. On Oahu, locations like Lake Wilson, a very large irrigation reservoir in Central Oahu, offers Tucanare, Bass, Perch, and other freshwater fare while other areas like the Nuuanu Reservoir are well known for Catfish and Tilapia. You do not need a marine recreational fishing license to fish in Hawaii, according to the Hawaii Division of Aquatic Resources. 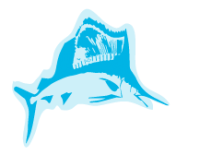 Most of the shoreline areas in the islands are open to flat water fishing unless otherwise prohibited. Before you start, look for posted prominent signs that indicate any restrictions on fishing. However, freshwater fly fishing areas in Hawaii that are worth anything require fishing licenses which although easy to obtain are another step to clear before getting out on the water so most look to the ocean’s reefs, flats, and deep water zones to pursue their targeted game fish!